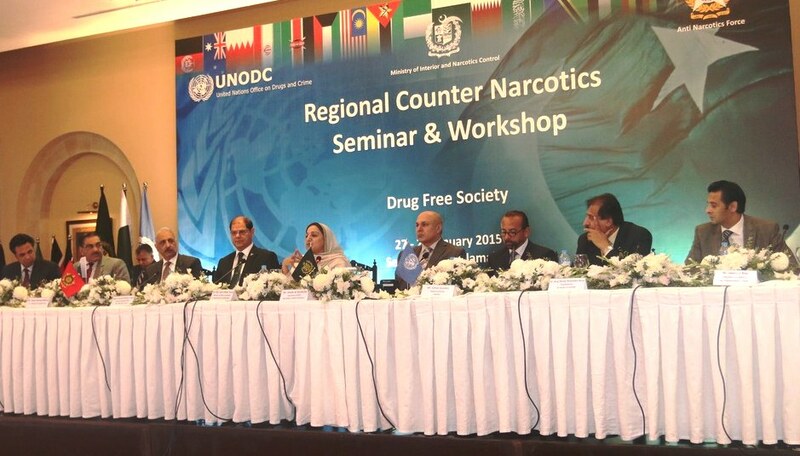 Representatives from the Combined Maritime Forces (CMF) attended the United Nations Office of Drugs and Crime (UNODC) Regional Counter Narcotics Seminar and Workshop in Islamabad, Pakistan, on 27 and 28 January 2015. 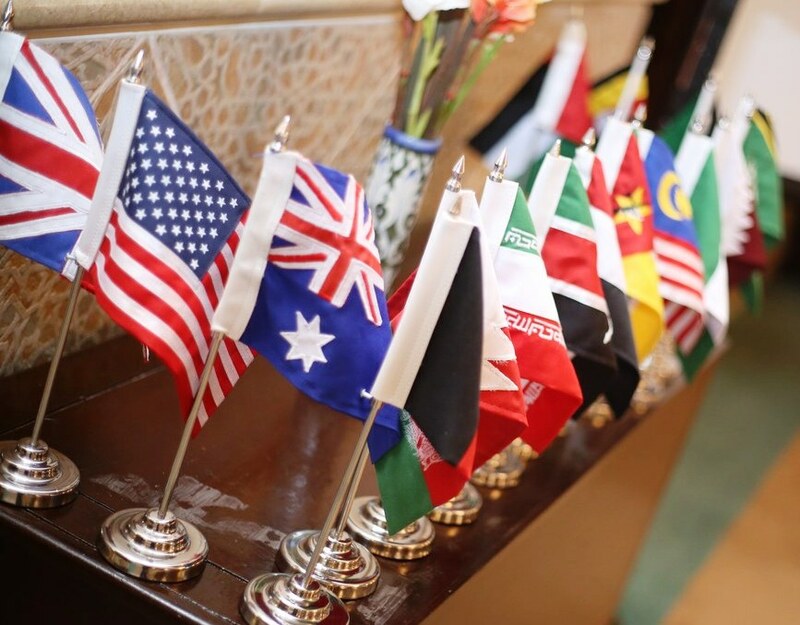 The event aimed at enhancing awareness and aligning international efforts to combat the challenges posed by narcotics trafficking in the Middle East. 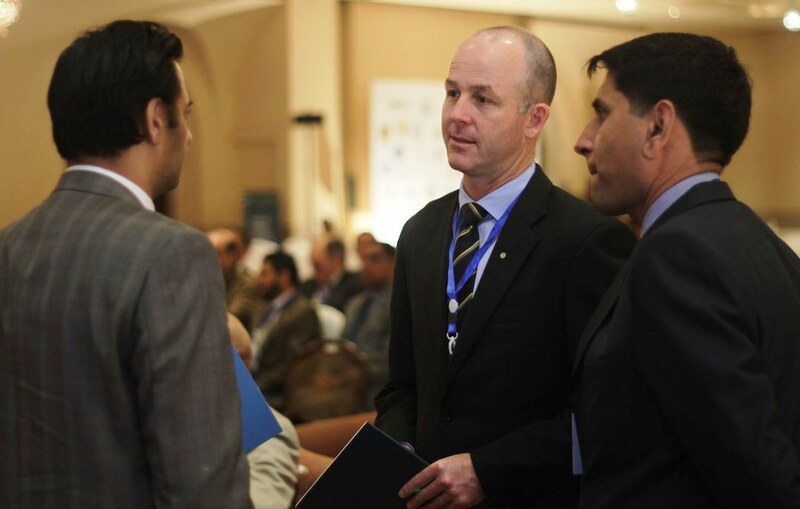 CMF was represented by Captain Nicholas Stoker Royal Australian Navy, the Deputy Commander of CMF’s counter-terrorism and counter-narcotics smuggling task force, Combined Task Force 150, and Commander Aamir Iqbal from the Pakistan Navy. The two officers briefed delegates from a large number of nations and agencies on CMF’s role in maritime security in the context of narcotics trafficking. Organised by the UNODC Country Office in Pakistan and the Government of Pakistan, the seminar brought together many of the countries most affected by narcotics trafficking and asked them to consider a shared approach in combating drug networks and narcotics smuggling.